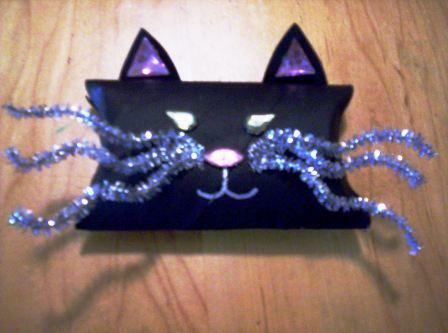 I love Pack O Fun Magazine, they always have great crafts for kids made from garbage and every day items you can find around the house. 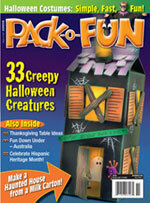 The November edition, which features Halloween and Thanksgiving crafts is full of clever and cute crafts for kids of all ages (including my toilet paper roll treat boxes for Halloween on page 36) and many of them use items that would normally get tossed away. There’s a haunted house made from a milk carton, luminaries made from tin cans, jar lights made from assorted glass jars, a treat box made from a cereal box, candy holders made from Pringle’s cans, cute treat holders made from plastic jello cups and cheese boxes and more. I didn’t see any CD ideas though (mine keep piling up, haven’t found an idea that suits me yet). It’s great. 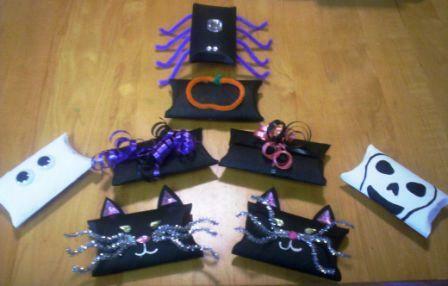 It’s a green crafter’s paradise of Halloween ideas. since I have a garden full of them. I look forward to decorating and crafting green this year. I may not have all the supplies listed in the DIY directions but instead of buying new stuff I try to make do with what I have on hand, and since I’m a crafter that’s quite a lot. I have a room that is full of pretty much just craft supplies. It is supposed to be my office and work room but I’m running out of space. I keep getting new (old) stuff. I pick up craft supplies at yard sales, Goodwill, and this guy gave my husband like 10 boxes full of craft supplies that him and his wife no longer need (they found a new hobby). Anyway, check out Pack O Fun for some fabulous green(ish) Halloween and Thanksgiving craft projects for you and the kiddies.